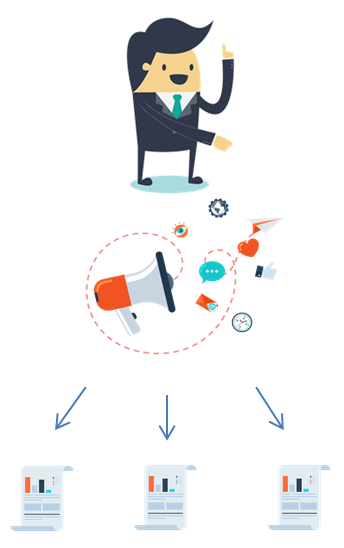 Multi-channel posting works by creating a job ad once and then publishing it to several channels simultaneously. Possible channels include your own career page, the various online job boards, university websites, Google (AdWords), QR codes, Facebook or LinkedIn. The employer has a vacancy. The employer publishes their job advertisement on their career page. 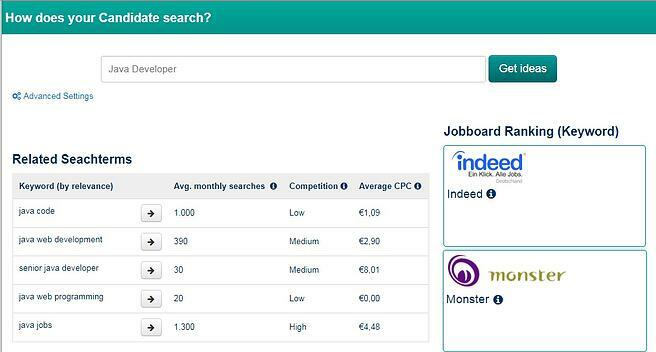 In addition, they hand over the job ads as content for the multi-channel posting with a few simple clicks. The job ad is published simultaneously on different channels (the content is then visible on several pages). What are the advantages of multiposting? The idea of multi-channel posting is to work against the existing lack of skilled workers by giving your own job advertisement the greatest possible reach. The process is simplified by channel selection per click. This saves the recruiting personnel the effort of publishing on every single job board. As a rule, providers of multi-channel posting have framework contracts through which recruiters can book publications at preferential prices. If this happens with every publication, the recruiting person will save a great deal of effort, since the listed steps are completed in multi-channel posting with just a few clicks. What are the disadvantages and risks of multi-channel posting? There is a risk of multi-channel posting by publishing via a black box procedure or by publishing job ads on a large number of free job boards. Often, HR professionals think that a large number of job boards have a positive effect on their reach - but this only happens if the job boards have the right visitors. Mass publication on free job boards carries the risk of creating duplicate content, which has a negative effect on your search engine ranking. Multi-channel posting with the black box procedure leads to HR personnel not knowing which job board brings which quality of applicants. If the provider's algorithm changes, the existing search process is destroyed. Recruiters have no chance to find out which channel has brought success and within a few days the number of applicants is rapidly declining. Blackbox multiposting distributes your ad anywhere on the net. This means that you may publish on job boards where you do not want your brand to be present. To avoid disagreements with marketing or personnel marketing, the channels should be coordinated with the multi-channel posting provider beforehand. The greatest danger in multiposting arises from the fact that the reach of the ad is evaluated on the basis of the number of job boards. The primary goal of multi-channel posting is to simplify its process. The number of job boards alone has no effect on the number or quality of applicants. The job advertisements must be available on the appropriate channels for the respective job. A simple trick to optimize your multi-channel posting consists of a pre-analysis (research) of your applicant market. The Talention software offers a simple research tool that provides you with individualized job market recommendations for each target group, based on live data from real applicant searches: Simply enter the job title and compare! Check out our page "The Ultimate Guide to Multi-Channel Posting", to find further resources on the topic of multi-channel posting.